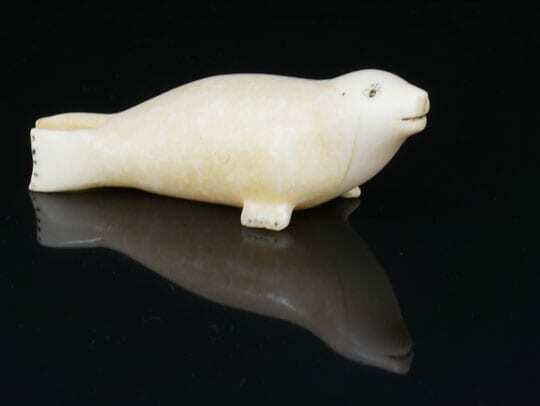 This charming vintage seal from the 1960’s was carved from walrus tusk. 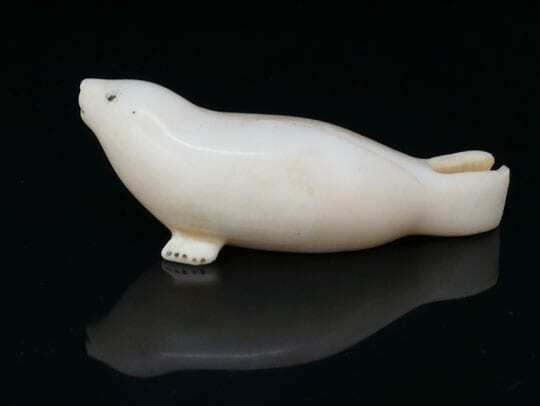 Notice the scrimshaw eyes, eyelashes, mouth, ear openings, and claws. 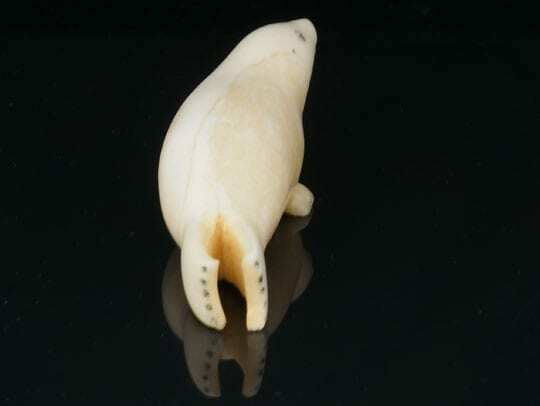 This is an exquisite white ivory (walrus tusk) bracelet. Held together with elastic cord, this bracelet measures approximately 2 1/4 inches in diameter, but stretches easily to fit on the wrist. Each piece is approx. 1" x 3/4".